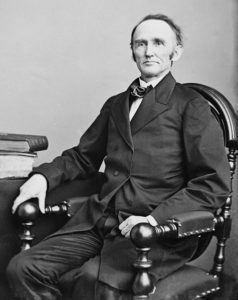 This daunting task in the annals of international postal history became the diplomatic goal of Heinrich von Stephan, a senior postal official from the North German Confederation. 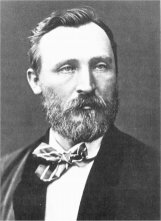 Building on the foundation of Postmaster General Blair’s work, von Stephan drew up a plan for the creation of an international postal union, and at his suggestion, the Swiss government convened an international conference in Bern on September 15, 1874, attended by representatives of postal administrations from 22 different nations. Later in 1874 on October 9, a day now commemorated worldwide as World Post Day, the Treaty of Bern was signed founding what was then known as the General Postal Union (GPU). 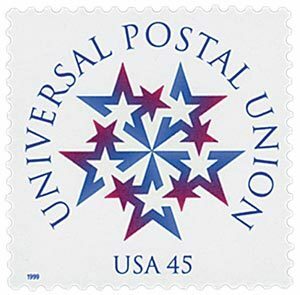 Membership in the Union grew so rapidly during the following three years that its name was changed to the Universal Postal Union (UPU) in 1878. The 1874 Treaty of Bern succeeded in unifying a complex international labyrinth of postal services and regulations into a single postal territory for the reciprocal exchange of letters. The barriers and boundaries that had previously impeded the free flow and growth of international mail had finally been addressed and the principles of a true international postal agreement between nations had been forged. At the APRL there are copies of the relevant sections of the first 10 UPU congresses available in photocopy form while many of the later congresses and convention are available in their original complete published form. These international postal documents in the form of articles of agreement spell out in both French and English, the latter being adopted as the UPU’s working language in 1994, the principles that guide the reciprocal conditions and commerce of international mail delivery. 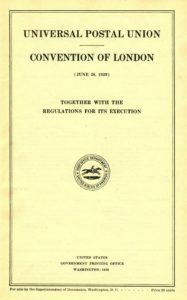 For the U.S. and international postal history researchers these UPU publications provide the chronology of international postal relations from the UPU’s formation in 1874 to the current 192 member organization, now the world’s third oldest international organization. The regulatory articles found in the UPU publications include the details of agreements governing all types of mail matter, delivery and remuneration between foreign postal administrations. Many of the UPU publications can be borrowed by APS members while copies or scans can produced for non-members. Contact the APRL at library@stamps.org for more information. Pity that the current U.S. president has pulled America out of this institution.